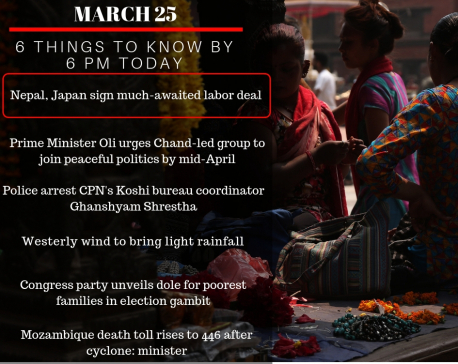 KATHMANDU, March 25: The government of Japan has said that the Memorandum of Cooperation (MoC) to send Nepali workers to Japan will establish a basic framework for information partnership in order to ensure smooth and proper sending and accepting specified skilled workers. Issuing a press statement after the signing labor deal between two countries on Monday, the Embassy of Japan in Kathmandu has believed that this deal will eliminate malicious intermediary organizations and will resolve the problems of sending, accepting and residing in Japan of specified skilled workers. “The Ministry of Foreign Affairs of Japan enhances the mutual benefits of both countries, through cooperation for proper operation of the system, in collaboration with the relevant ministries and agencies of Japan,” the statement reads. 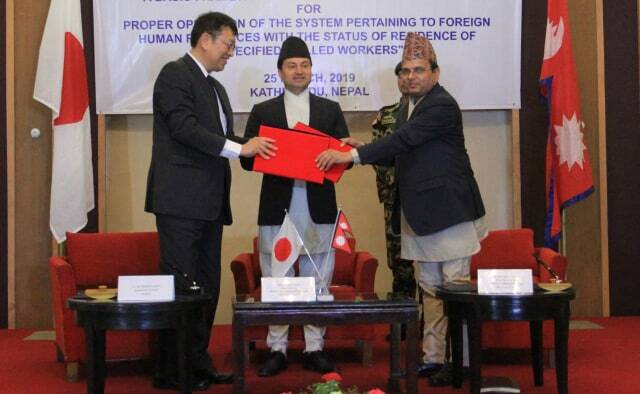 Amid a function held at the Ministry of Labor, Officiating Secretary at the MoLESS Ram Prasad Ghimire and Japan’s ambassador to Nepal Masashi Ogawa signed Employment and Social Security the government-to-government deal. The MoC will come into force from April 1, 2019.